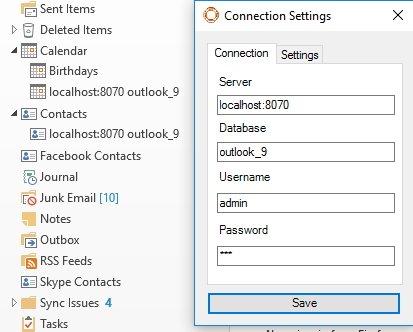 Easily connect Odoo with Microsoft Outlook! 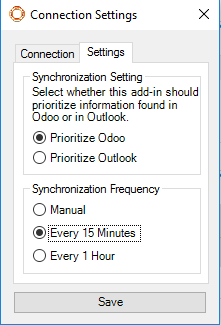 Seamless Integration Odoo with Microsoft Outlook. Synchronize both your contacts and calendar with ease! 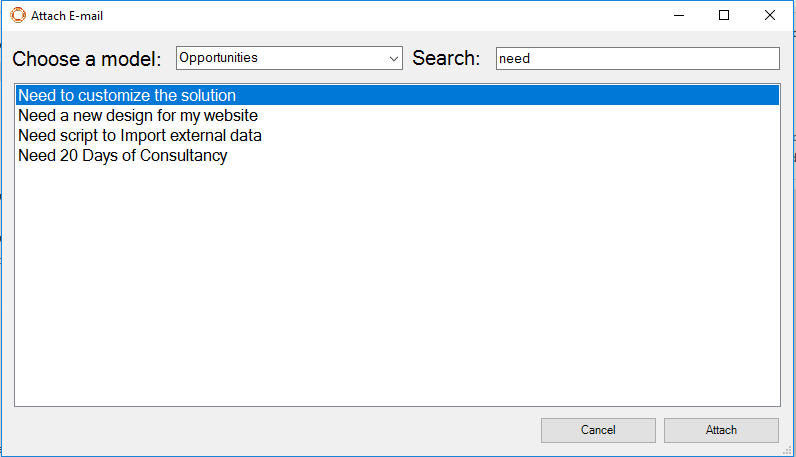 Searching for the object you wish to add e-mail content to is fast and easy to use! 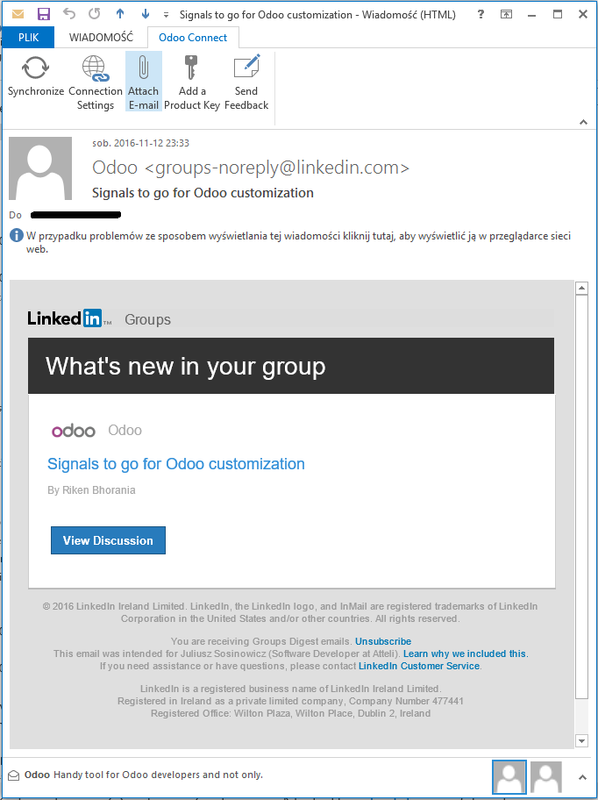 E-mails in Odoo instances with this module installed appear with a light blue background. Did we mention that the add-in is not dependent on the module? 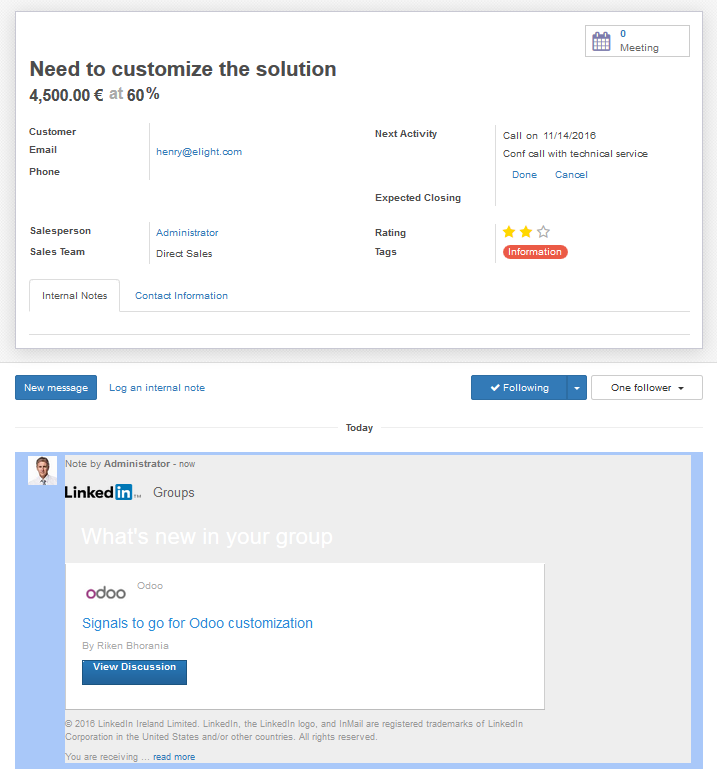 You can connect to any Odoo 8.0 or 9.0 instance you want!